Looking for an easy and fun back to school gift for your kids, their classmates or your students? You simply can not go wrong with homemade play dough. 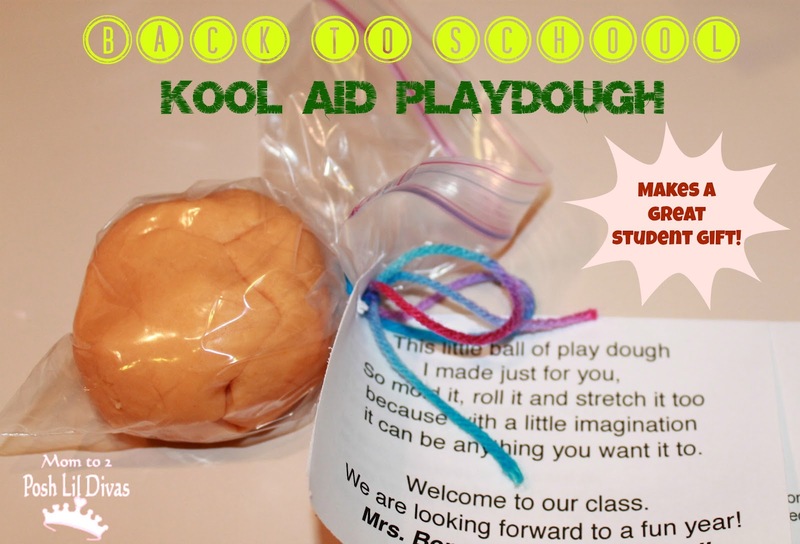 I whipped up a few batches of yummy Kool Aid scented play dough before the first day of school. 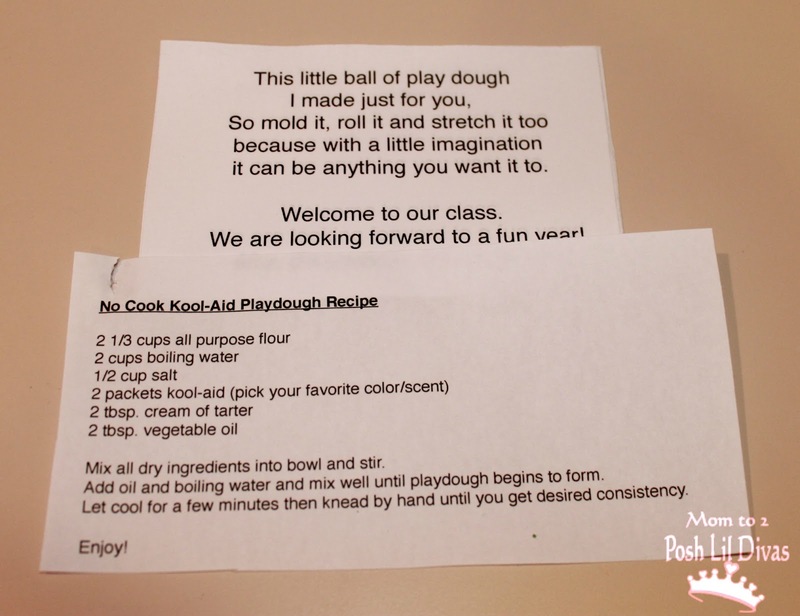 For the gift I gave each student a chunk of play dough added a cookie cutter, a little poem I wrote and a copy of the recipe and voila - I had a gift for my students that was very well received. 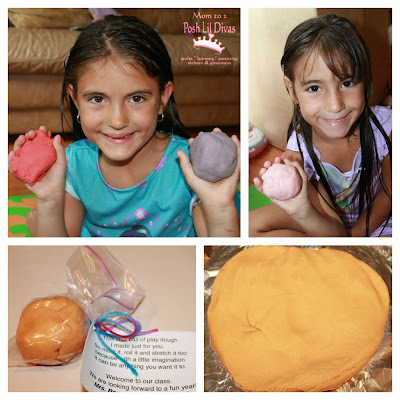 Kids love play dough and giving it a fun fruity scent is always a big hit. The Lil Divas helped me mix up the various batches of Kool Aid play dough (cherry, grape, orange, tropical punch and pink lemonade) and they just had to keep a chunk of each for themselves. They have been happily playing with it ever since. Mix all dry ingredients into a large bowl and stir. Add oil and boiling water. Mix well until dough begins to form. Let cool for a few minutes. aluminum foil or other work surface. Knead until you reach desired consistency. Add a little more flour if dough is too sticky. I made just for you. it can be anything you want it to. Tip - I am always on the look out for marked down Kool Aid packets at the store. It's a great way to stock up for when you need to make large batches like this. Kids really enjoy the scented dough. What other back to school gift ideas do you have? 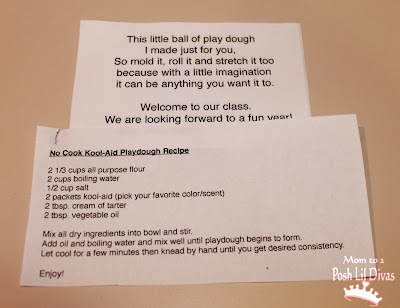 How many batches do you recommend making for approximately 30 students? Guys, this information will help you understand which college major is right for you.